Mamma LOVES this beautiful wooden playground! Surrounded by stunning large trees and with so much to do, it’s a place you can play the day away. 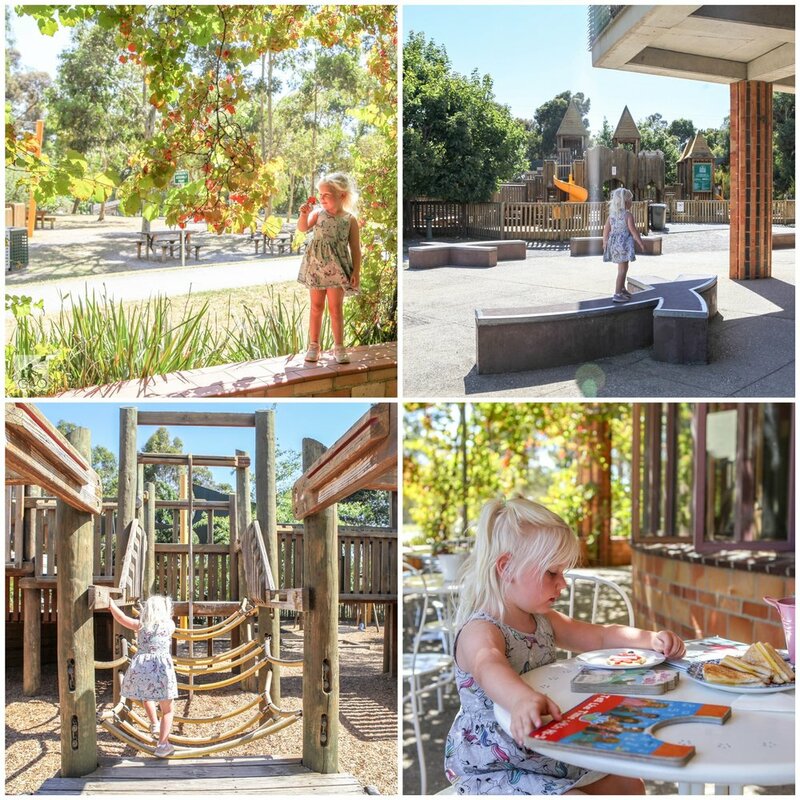 Not only is there a mostly fenced in wooden fortress playground; complete with multiple swings of different varieties, slides, steering wheels, musical charms, and cute little paintings spread throughout - there’s also a library, community centre AND a cafe! Oh and a HEAP of open grassy space with skate ramps, too! This place has such a warm community feel to it, and that may be due to all the hard work the many volunteers put into making this park so great. Each fence paling has the name of families who helped in the production, which is a lovely local touch. So pack a picnic, bring a BBQ or dine in at the cafe and settle in for a day of play! Hungry or need a drink break? Lucky there is Phoenix Park Cafe onsite!